Fr. Jack Sparks - Memory Eternal! He was one of the original Evangelicals who came to Orthodoxy from Campus Crusade for Christ along with Fr. Peter Gillquist, Fr. Jon Braun, Fr. Gordon Walker, and others. He compiled the well-loved writings of the Apostolic Fathers, and he was the project director for the Orthodox Study Bible. Fr. Jack Sparks fell asleep in the Lord on Monday, February 8, 2010. AFR talks with Fr. Peter Gillquist. John Maddex talks with Fr. Peter Gillquist and gets an update on the release of the complete Orthodox Study Bible scheduled for mid-February 2008. 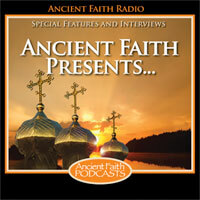 Ancient Faith Presents: Taking the OSB On The Road!